UNITED NATIONS, Mar 1 (APP): Delivering her first address as the United Nations Deputy Secretary-General, Amina Mohammed underlined that Sustainable Development Goals (SDGs) are essential for a safe and secure future that brings prosperity, opportunity and human rights for all. “Around the world, success in achieving the SDGs will ease global anxieties, provide a better life for women and men and build a firm foundation for stability and peace in all societies, everywhere,” Mohammed, a national of Nigeria, said at the opening of the 2017 UN Economic and Social Council (ECOSOC) segment on Operational Activities for Development. Mohammed, earlier today, was administered the oath of office by Secretary-General Antonio Guterres at a ceremony at the UN Headquarters in New York. 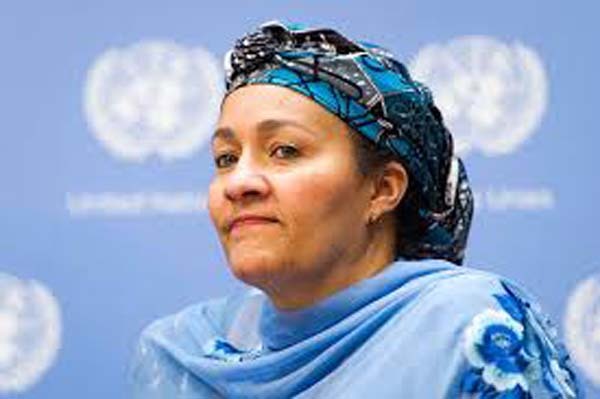 She also said that the UN too needed to be ‘fit for purpose’ to help its Member States implement 2030 Agenda for Sustainable Development. Looking ahead, Mohammed said that focus would be based on broadly three principles: strengthening impartial leadership of the UN development system for coherence and integration at all levels; addressing the trust deficit to entail accountability and transparency at all levels; and being responsive to national priorities. Opening the segment, ECOSOC Vice-President Cristian Barros said the Council would contribute to the implementation of the QCPR in three ways: by laying the foundation for its work after the receipt of comprehensive proposals requested from the Secretary-General in the QCPR; by discussing concrete steps that the UN development system can initiate immediately to enhance system-wide coherence and efficiency; by reflecting on adjustments needed to improve impact of support provided to different groups of countries to deliver on the 2030 Agenda. As a result of the deliberations in the general Assembly on the QCPR, Barros said there is now growing recognition among Member States that the UN development system is at a ‘critical juncture’ where important decisions will need to be made for the Organization to effectively support delivery of the 2030 Agenda.